We experimentally demonstrate the fabrication of a tellurite hollow core photonic crystal fiber (HC-PCF) which has a large hexagonal hollow core in the center. The fiber is successfully obtained by using rotational casting and rod-in-tube methods. The fiber diameter is about 160 µm, the diameter of the central hollow core is 19 µm and the thickness of the wall is 0.35 µm. A supercontinuum light source from 500 nm to more than 1500 nm is launched into the hollow core of a 7-cm-long fiber. The result shows that the transmission mode can be confined into the hollow core of the tellurite HC-PCF for the first time. Hollow multi-walled carbon nanotubes (MWCNTs) were formed in situ by catalytic cracking of phenolic resin with addition of nano-manganese dioxide (nano-MnO2) as a catalyst. The effects of catalyst content, coking temperature and heating rate on in situ growth of carbon nanotubes (CNTs) were investigated. 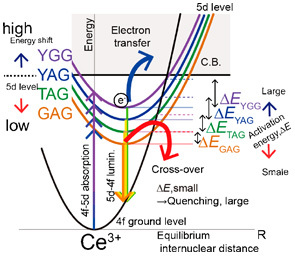 The composition and microstructure were characterized by X-ray diffraction, field emission scanning electron microscopy, transmission electron microscopy and laser-raman spectrum. 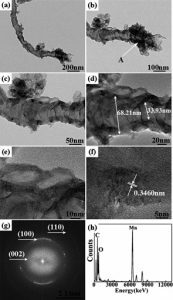 The results showed that nano-MnO2 could catalyze phenolic resin to partly form MWCNTs inside of the materials, which transformed pyrolytic carbon structure and improved graphitization degree of the material after carbonization. With the increase of catalyst content, the length of CNTs decreased and the optimum addition amount was at 1.0 wt %. The higher the carbonization temperature, the bigger the activity of catalyst particles. The optimum growth temperature of CNTs was at 1200°C. At a higher heating rate, hydrocarbon molecules was hard to deposite on the surface of the catalyst particles to form CNTs. CNTs obtained at a heating rate of 2 °C/min possessed the highest degree of graphitization. The growth of carbon nanotubes was accordance with the mechanism of top growth. Considering the same chemical compositions, the particle size of hydratable alumina (HA) is the key property related to the large differences in their rheology, sintering and thermal shock resistance. It is reasonable to consider that the benefits promoted by HA, added as binder, would be affected by particle size changes. 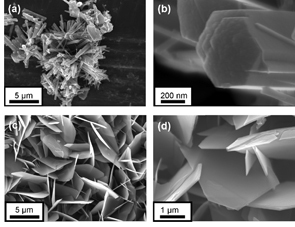 In this study, the design of alumina-spinel castables is optimized based on changing particle size to control HA hydration behavior. It is observed that the pH values and conductivities of HA slurry raise with decreasing particle size which indicates an increase in hydration rate of HA. The finer (d50 8.70 µm) HA are beneficial to motivate the hydration process and improve the mechanical properties of castables, and could also effectively enhance the thermal shock resistance as it can homogeneously hydrate in the matrix and significantly promote the sintering process. Accompanied with the dehydration and phase transformation of HA, the high density of matrix structure can be found in the castables, which is responsible for an increase of mechanical performance. However, smaller particle size and higher specific surface area can also lead to severe hydration and excessive volume expansion of matrix cracks which could induce more microdamage during the hydration and dehydration. For cost-effective production of dense silicon carbide (SiC) ceramic parts, pressureless sintering of SiC ceramics at lower temperatures is preferred. This study suggests a new additive composition based on Al2O3–Y2O3–MgO–CaO that leads to successful densification of SiC without applied pressure at a temperature as low as 1800°C. The effect of sintering temperature on the mechanical and thermal properties of SiC ceramics sintered with the new quaternary additive was investigated. Fracture toughness of the SiC ceramics continuously increased with increasing sintering temperature because of the growth of platelet SiC grains at temperatures ≥1750°C. 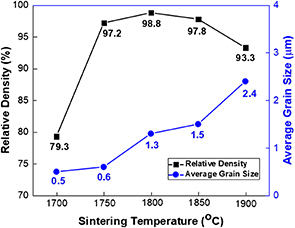 In contrast, the flexural strength and hardness showed maxima at 1800°C due to the decreased density and increased grain size at higher sintering temperatures. The thermal conductivity of SiC ceramics increased with increasing sintering temperature from 1700 to 1900°C as a result of the decrease in lattice oxygen content in the SiC lattice. Typical sintered density, fracture toughness, hardness, flexural strength, and thermal conductivity of the 1800°C-sintered SiC ceramics were 98.8%, 5.2 MPa·m1/2, 29.3 GPa, 347 MPa, and 83 Wm−1 K−1 at room temperature, respectively. By adding 1.5 mol.% Bi(Mn2/3Sb1/3)O3 (BMS), (Bi1/2K1/2)TiO3 (BKT) ceramics show an excellent sintering ability in conventional oxide sintering process. In a wide temperature range from 1020–1050°C, the 0.985BKT–0.015BMS (BKMS) ceramics demonstrate a super-high relative density of 98% and low dielectric loss tan δ of 0.017. 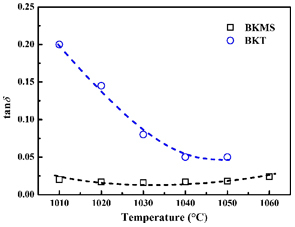 Even though the temperature reaches to 1060°C, BKMS ceramics maintain high relative density over 95% other than being collapsed as the pure BKT did. Besides, the BKMS ceramics sintered at 1020 to 1050°C present adequately high electrical properties. The enhanced sintering ability of BKMS ceramics is attributed to the increased viscosity of liquid induced by Sb5+ solving in the liquid phase during sintering. The work provides a way to realize the densification of BKT ceramics. In this work, ternary CaTiO3/reduced graphene oxide (rGO)/NiFe2O4 nanocomposite was successfully prepared using polyacrylamide gel route followed by hydrothermal method. It is observed that NiFe2O4 and CaTiO3 nanoparticles are assembled on the surface of rGO. Furthermore, the formation of chemical bonding between the nanoparticles and rGO is confirmed. 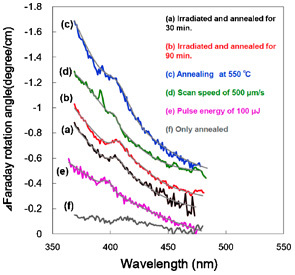 The photocatalytic activities of the samples were evaluated through the degradation of methylene blue and rhodamine B under the simulated sunlight irradiation. The results indicate that the ternary nanocomposite exhibits remarkable enhanced photocatalytic activity compared with bare CaTiO3 and NiFe2O4. In this nanocomposite, the photogenerated electrons of CaTiO3 and NiFe2O4 can be captured by rGO, leading to an increased separation and availability of electrons and holes for the photocatalytic reaction. Moreover, this nanocomposite exhibits obvious ferromagnetism and can be readily recovered by external magnetic field. The recycling photocatalytic experiment demonstrates that the nanocomposite possesses good photocatalytic reusability. Pr2NiO4 (PNO) powders were synthesized by the glycine-nitrite process (GNP) for use as the cathode in an intermediate-temperature (500–800°C) solid oxide fuel cell (IT-SOFC). When PNO powder was calcined at 1200°C for 1 h, the pure single phase with good crystallization K2NiF4-type structure was obtained. Moreover, samarium doped ceria (Ce0.8Sm0.2O1.9, SDC) and NiO-SDC were used as electrolyte and anode, respectively. 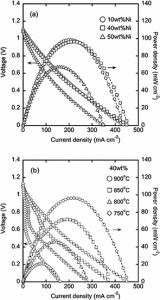 The maximal power density of 439 mW/cm2 was obtained by the PNO/SDC/NiO-SDC cell at 800°C. 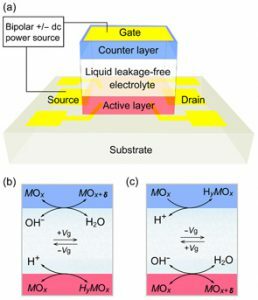 Furthermore, the electrolyte surface of co-pressed SDC/NiO-SDC was modified with a chemical solution deposition derived SDC layer to improve the cell performance. Besides, the power density of the PNO/SDC layer/SDC/NiO-SDC cell increased to 487 mW/cm2 at 800°C. These results suggest that PNO cathode materials prepared by GNP and chemical solution deposition modified SDC electrolyte have potential for application in anode-supported IT-SOFCs. We succeeded in fabricating the uniform spherical titanium oxide (TiO2) hollow particles improved photocatalytic activity by doping nitrogen under visible light irradiation using new processing. 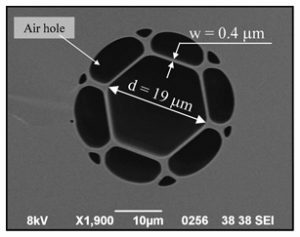 To prepare the uniform spherical nitrogen-doped TiO2 particles with monodispersed size distribution and monodispersed pore distribution, we performed the reaction crystallization within the confined droplet by inkjet nozzle. The absorption edge of the TiO2 particles shifted to the lower wavelength side with an increase in the sintering temperature. 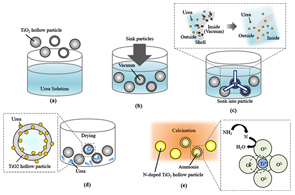 TiO2 particles prepared by an inkjet process exhibited spherical porous structures with uniform size distribution, resulting that this process would be controllable to nitrogen-doped TiO2 particles. The results indicated that the chemical states of the nitrogen doping and the light absorption characteristics of the TiO2 particles could be controlled by the sintering temperature. Hydroxyapatite (HAp) exhibits superior biocompatibility, ion-exchange ability and high adsorption property has attracted much attention as one of the most well-known ceramic functional materials. 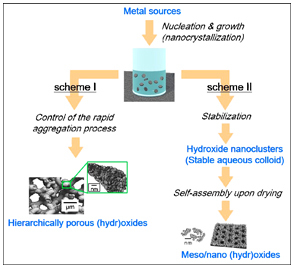 We have previously reported the efficient oxidative decomposition of volatile organic compounds (VOC) on commercial HAp powders, which makes HAp a promising alternative material of precious metal nanoparticle catalyst for environmental purification. 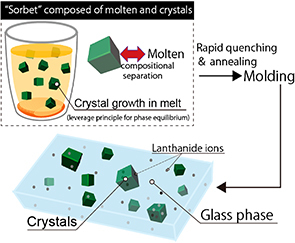 In this work, HAp with oriented crystal growth of a-plane and c-plane were synthesized via air-liquid interface precipitation in solution, and the influence of crystal orientation on VOC decomposition performance was systemically investigated. As a result, HAp with preferential growth of c-plane performs higher catalytic VOC decomposition activity, which can be attributed to the large number of active radicals generated on surface despites the relative smaller sufficient surface area. 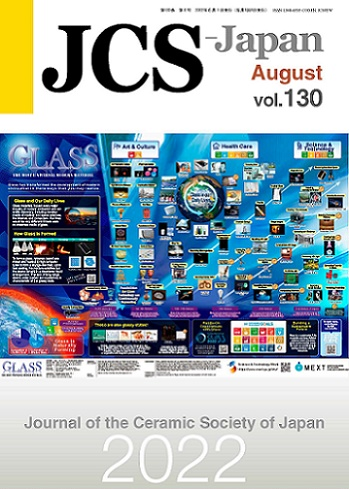 The results in this study highlight the important relation between crystal structure of HAp and the decomposition activity of VOC, which also provide useful information for the structure design of ceramic functional materials. Porous ceramic filters made of MgAl2O4 spinel are promising due to their excellent thermal and chemical stability. In this study, toward future cross-flow ultrafiltration applications, reactive synthesis of porous MgAl2O4 membranes on a macroporous Al2O3-based ceramic tube has been examined. Fine (0.2 µm) and coarse (0.7 µm) α-Al2O3 powders and two types of MgO sources, i.e., MgO (∼2.8 µm) and MgCO3 (basic) [hydromagnesite Mg5(CO3)4(OH)2·4H2O] (∼5.5 µm) powders were used as starting materials for the reactive synthesis of porous MgAl2O4 membranes. For the intermediate layer, MgCO3 (basic) powder was favorable as a MgO source because it can clog up the large (15 µm) pores in the Al2O3-based tube. Meanwhile, for the top layer, MgO powder with finer particle size was favored to obtain homogeneous layer for ultrafiltration. This article provides the first critical review on the discovery and development of BaNdInO4. Exploring a new structure family of ionic conductors is an important task to develop ceramic ionic conductors. Since some A2BO4 compositions exhibit high oxide-ion conductivities, we investigated ABCO4 compositions to explore new oxide-ion conductors with A/B/C cation-ordered structures. Here A, B and C are cations [ionic radii: r(A) ≥ r(B) ≥ r(C)]. In 2014, we discovered a new material BaNdInO4 which belongs to a new structure family of perovskite-related structures. 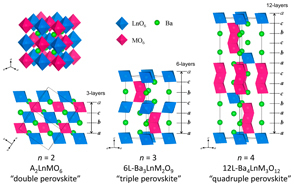 This BaNdInO4-type structure (monoclinic, P21/c) consists of alternative stacking of the A rare earth oxide unit and perovskite unit with a− b− c− tilt system. We also discovered new materials BaRInO4 (R = Sm, Y, Ho, Er, Yb) having the BaNdInO4-type structure, and report their lattice parameters and anisotropic chemical expansion. Electrical conductivity of BaNdInO4 was higher than those of BaRInO4 (R = Sm, Y, Er). Oxide-ion conduction was dominant for BaNdInO4 in the P(O2) region from 3.8 × 10−22 to 5.5 × 10−9 atm at 858°C. Oxide-ion conductivities of Ba1.1Nd0.9InO3.95, BaSr0.1Nd0.9InO3.95 and BaCa0.2Nd0.8InO3.9 were higher than that of BaNdInO4. Structure analyses of Ba1.1Nd0.9InO3.95 and BaSr0.1Nd0.9InO3.95 indicated that the excess Ba and doped Sr cations were partially substituted for Nd cation and that there existed oxygen vacancies, leading to the increase of the carrier concentration and higher oxide-ion conductivity. Following the discovery of BaNdInO4, BaRScO4 (R = Nd, Eu, Y, Yb) and SrYbInO4 were reported as new ABCO4 materials. BaYScO4 and BaYbScO4 have the BaNdInO4-type structure. BaNdScO4 and BaEuScO4 crystallize into the space group Cmcm, which has a higher symmetry than P21/c for BaNdInO4. 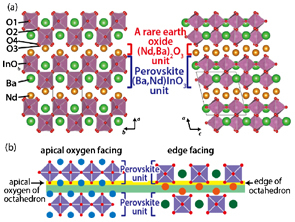 SrYbInO4 is the first example of pure oxide-ion conductors with CaFe2O4-type structure. Further investigations of ABCO4 compositions and BaNdInO4 related materials will lead to development of materials science and solid state ionics. Porous ceramic membranes have received increasing attention for decades. Due to their excellent thermal and chemical properties. Because their pore sizes of as-sintered silicon carbide supports are within the microfiltration range, silicon carbide membranes have been actively investigated by many researchers and industries. For example, silicon carbide supports by themselves (average pore size of 1–10 µm) and microfiltration layer-coated silicon carbide supports (average pore size of 0.1–1 µm) can be easily prepared. 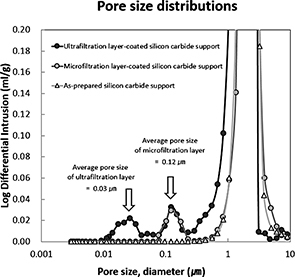 However, there is insufficient data concerning the combination of ultrafiltration layer-coated silicon carbide supports (average pore size of below 0.1 µm). Therefore, the authors first prepared typical microfiltration layer-coated silicon carbide supports, and then deposited ultrafiltration layers on them. Furthermore, the authors characterized the membrane properties of the ultrafiltration layer-coated silicon carbide supports. In addition, the possibility of reducing the average pore size of microfiltration layer-coated silicon carbide supports below 0.1 µm was investigated, and improving the water permeability of ultrafiltration layer-coated silicon carbide supports by controlling processing conditions such as the heat-treatment temperature, dip-coating conditions, and composition of the alumina coating slurry was explored. Samaria-doped ceria, (SmO1.5)0.2(CeO2)0.8 (SDC), containing nickel (Ni) was prepared as the anode of solid oxide fuel cell fueled with 6% ammonia (NH3). The Ni-free SDC powders prepared by the reverse co-precipitation method exhibited poor catalytic activities for NH3 decomposition in 6% NH3/Ar. Impregnation of Ni onto the SDC powders significantly enhanced its catalytic activity. The catalytic activity was highest at 10 wt % Ni–SDC, but it decreased with an increase in the Ni content. Contrary to expectation, the anodic performances were similar between 10 and 40 wt % of Ni loading and the highest maximum power densities were 98.8 and 96.5 mW·cm−2 at 900°C, respectively. Impedance analysis of the anodes revealed that the anodic performance was rate-controlled by the similar process in 4%H2 fuel and that was electrochemical oxidation and diffusion processes. Copyright© 1996-2016　The Ceramic Society of Japan All Rights Reserved.